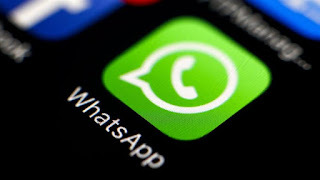 In late May, the Ugandan parliament passed legislation that introduced a tax on the use of the so-called Over The Top (OTT) social media platforms offering voice and messaging services. As of Sunday, users are required to pay daily 200 shillings (about $0.05) to access any of the more than 60 such OTT platforms. This translates into about $1.5 a month and $19 a year, in a country where millions ive on less than $1 a day. The government says the measure will bring in much-needed revenue to turn the country into a middle-income one by 2020. But social media users say the tax violates their right to freedom of expression, will deny people business opportunities and leave Ugandans even poorer. Human rights activists argue the tax is in bad faith and say they are preparing a constitutional challenge. "[The] social media tax is part of a wider attempt to curtail freedom of expression," Rosebell Kagumire, blogger and executive director of Kweta, a communications and development NGO, told national newspaper Daily Monitor. An estimated 17 million people, 41 per cent of the population, use internet in Uganda, with most accessing it through their phones. Facebook and Twitter are two of the most popular social media platforms in the country. Uganda's President Yoweri Museveni, who has been in power for 32 years, has spoken dismissively about social media users and said the tax was aimed at dealing with the consequences of online "gossip:. Critics have previously accused the government of evoking questionable incitement laws, relics of British colonialism, to silence dissent. Last year, Stella Nyanzi, a scholar and activist, was imprisoned for insulting the president and calling him out for his failure to fulfill an election promise to provide sanitary towels to school girls. On voting day in the 2016 presidential elections, which were won by Museveni won amid opposition allegations of bribery and voter intimidation, the internet was largely inaccessible. Frank Tumwebaze, the minister of information technology and communications, defended the move to impose the tax, saying the revenue generated will improve internet services. But NGOs cautioned that the measure will punish people with low income, students and small online businesses, without bringing in the expected revenue. According to Oxfam in Uganda, the government would have been able to raise more money by lifting tax breaks from big businesses and tightening laws to stop tax avoidance. The group also warned that the tax will result in fewer people being able to share their views on important issues. "It will shrink civic space even further and vulnerable men and women will not be able to access information," Sophie Kyagulanyi, who runs the Oxfam governance and accountability project, told Al Jazeera. "They will not be able to question the government or inform their own personal decisions. It is intended to gag us all." In recent weeks, telecom companies have released statements offering instructions about how to use mobile money - which has also been levied on a new one percent tax for every transaction - in an effort to get users to pay the tax. But some social media users have vowed not to pay, while others have been sharing guides explaining how to access online services through means such as virtual private networks. "This tax is very unfair and a double taxation of Ugandans. It may register the highest avoidance rate in Ugandan tax history," user Rony Mestel wrote on his Facebook wall. Another user Fred Wandera, who said he got his current job through social media, expressed concern that the many unemployed young people who use social media to search for jobs would now have even less chance of finding employment.